The long relationship between tennis and tobacco companies has likely come to an end after the ATP forced Swiss officials to terminate Davidoff's title sponsorship of the indoor event later this year in Basel. The ATP explained its order by blaming laws in various countries which ban cigarette advertisements. Because of those restrictions, television broadcasts of the tournament in those countries had to drop the name of the sponsor. Instead of going through a similar experience this year, the ATP told Swiss officials they could not extend the sponsorship with Davidoff. As of now, the tournament has no title sponsor. Nothing like having a nice, tar-filled smoke after two hours of strenuous activity. 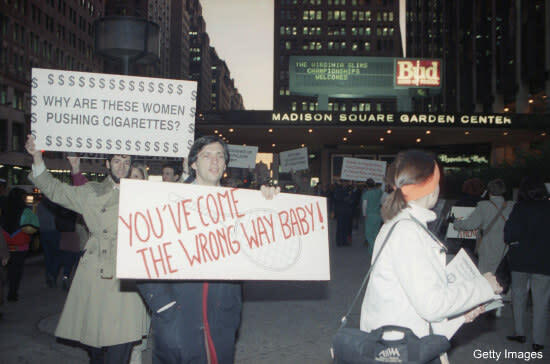 Philip Morris eventually withdrew its sponsorship in 1994, likely owing to the public outcry. (Interesting to note the WTA didn't force the move.) 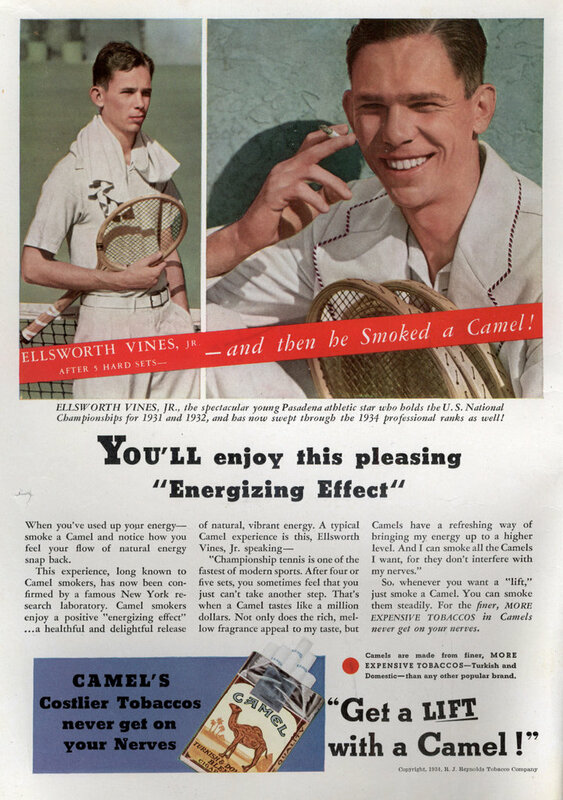 It was a welcome relief to everyone, especially to someone like Billie Jean King, who was invariably asked questions about the dichotomy between her quest for women's rights and playing in tournaments sponsored by a company whose logo was a woman smoking a cigarette. It's a shame the ATP had to hide behind an excuse in order to force the tobacco ban. It's as if it didn't want to take a stand against advertisements for harmful products. Makes sense, I guess. After all, the ink has barely had time to dry on its new title sponsorship deal. That one's with Corona beer.